A cool Purple Lil Uzi Cartoon Hoodie. Lil Uzi Vert otherwise known as Symere Woods is an American Hip Hop Artist best known for his record hit ‘Luv is Rage’. 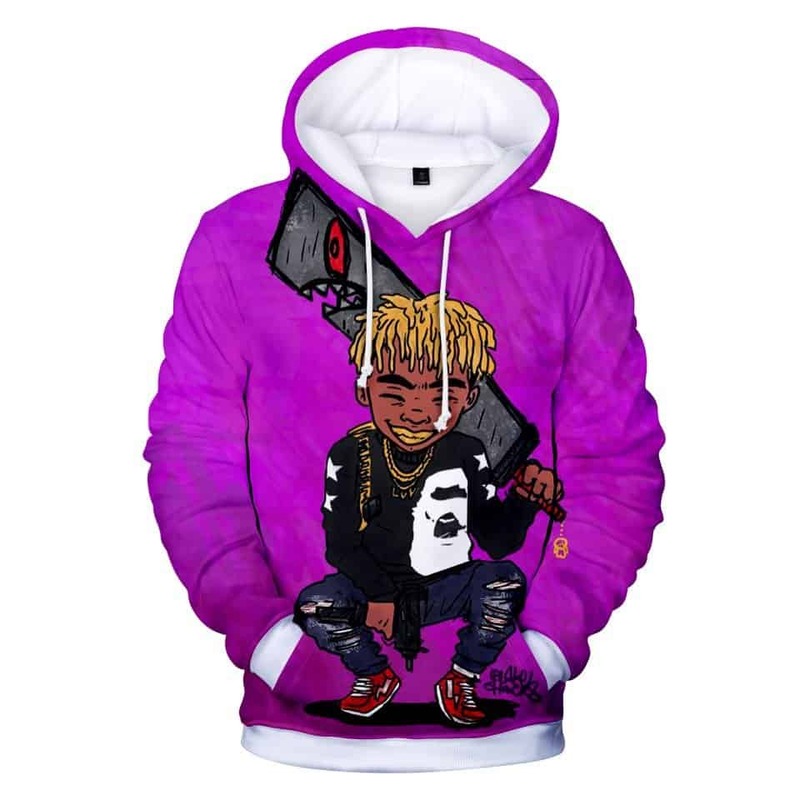 This Purple Lil Uzi Cartoon Hoodie features Lil Uzi Vert crouching down with a sword and a huge smile on his face. The Lil Uzi Vert hoodie is a cartoon graphic instead of an actual photo.